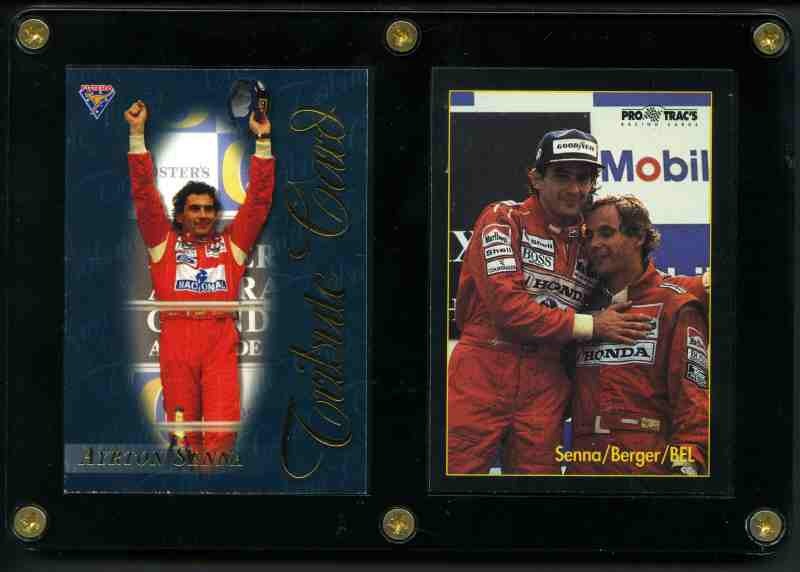 1994 Futera TC1 Ayrton Senna Tribute Card [244/500], plus 1991 Ayrton Senna card no's 1 and 172 ProTrac's Formula One cards in excellent condition. 5 Trade Card Binders with cardboard slipcase in new condition. 17cm x 33cm with "Trade Card Album" gold lettering on front.